Protesters in over 150 cities across Brazil demanded the impeachment of President Dilma Rousseff and an end to corruption on Sunday. Rousseff’s administration is struggling to reverse an economic downturn amid fears that the country will experience negative growth in 2015. In addition, the president is weathering the fallout from ongoing revelations regarding a massive kickback scheme at the partially state-run oil giant Petrobras. 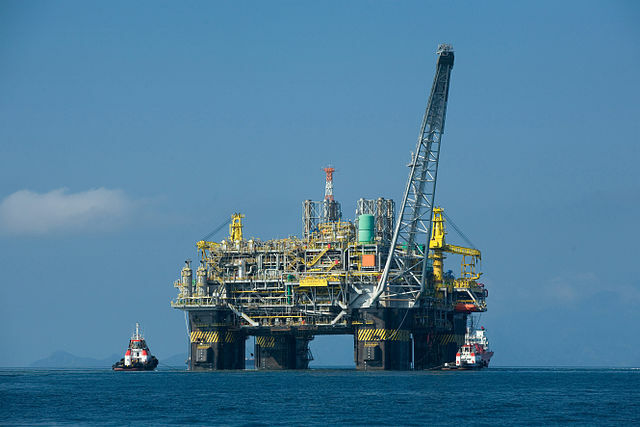 The scheme, which allegedly benefitted Petrobras executives as well as top members of the ruling Workers’ Party, was in operation during the years in which Rousseff served as the oil company’s chair, although the president herself has not been implicated. Rousseff’s approval ratings currently stand at 23 percent, nearly half of what they were at the close of 2014. 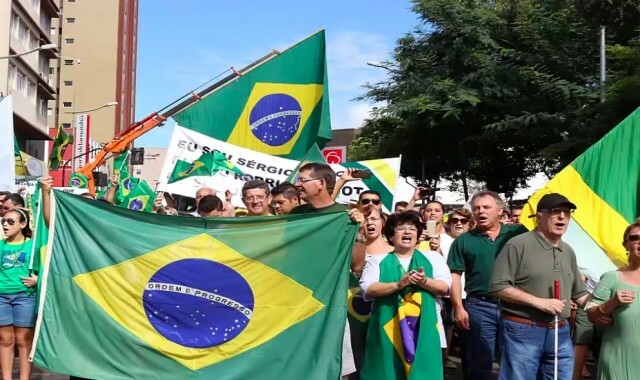 Sunday’s demonstrations were informally organized via social media by right-of-center political groups, and were scheduled to coincide with the 30-year anniversary of Brazil’s transition from a dictatorship to a democratic country. The demonstrations remained peaceful, in contrast with the violent protests that erupted across the country in June 2013. Only one forceful confrontation between protesters and the police was reported, in an instance where the police used tear gas and flash grenades to disperse a small crowd in Brasília, as the group allegedly tried to break into the National Congress. 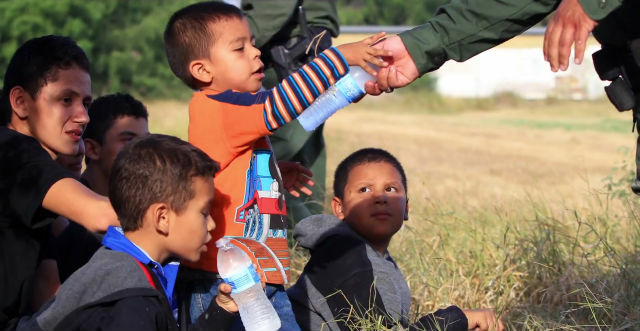 In São Paulo, twenty-two people were taken into custody. Latin America News Dispatch rounds up some of the images and messages shared on Brazilian social media throughout the nation-wide protests. Among the most widely shared images of the day shows a policeman on the terrace of Brasília’s National Congress — which houses the Senate and Chamber of Deputies — and, in the background, the approximately 45,000 demonstrators gathered in the capital city’s central thoroughfare, the Monumental Axis. Sunday’s main demonstration took place in São Paulo, with protesters marching down Avenida Paulista, the city’s main avenue. It peaked right before 4 p.m., with the Military Police putting the number of protesters at about one million. Protesters in Florianópolis, the capital city of Santa Catarina State, call for Rousseff’s impeachment. 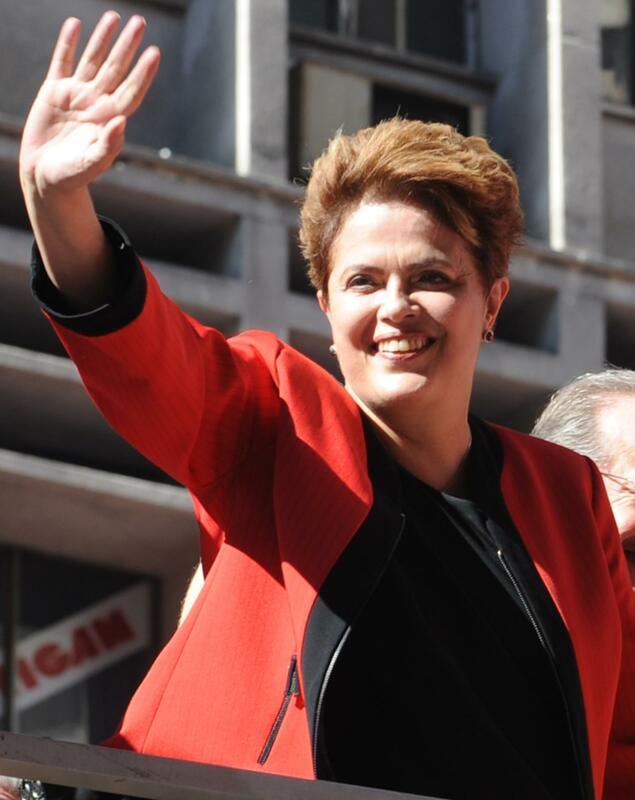 However, opposition leaders such as former President Fernando Henrique Cardoso and Senator Aécio Neves — who lost the presidential race to Rousseff in October — have stated that they are less-than-enthusiastic about such an outcome, saying that an impeachment will jeopardize the country’s stability. 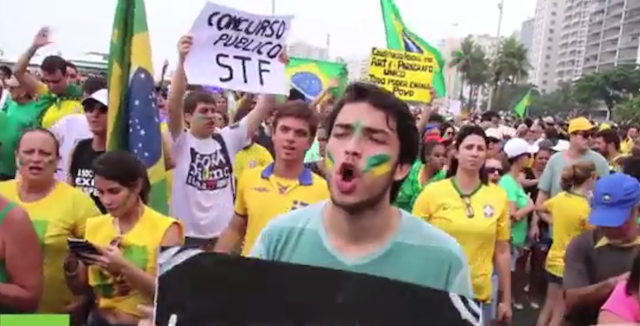 A number of protesters throughout Brazil carried signs calling for military intervention. A protester in São Paulo holds a sign that reads, “The White Elite Against Dilma,” referring to President Dilma Rousseff. The sign is a play on a statement made by former President Luiz Inácio Lula da Silva in June 2014, in response to the jeers Rousseff was subjected to during the World Cup opening ceremony. During a public speech following the incident, Silva said that those who had booed the president were members of the elite, and that there were no members of the working class or people of color in the stadium that day. 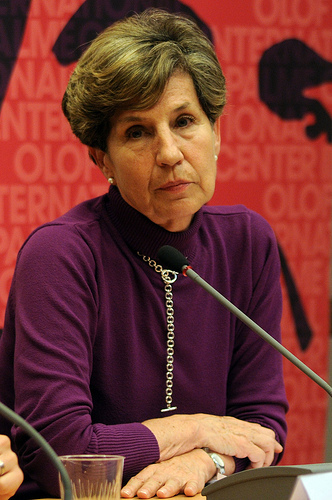 Silva’s statement proved controversial, in particular after Rousseff’s Chief Minister, Gilberto Carvalho, rebutted the former president’s assertion that only affluent Caucasians were dissatisfied with the current administration, and by extension were the only ones in the stadium to have jeered the president. Another São Paulo protester’s sign reads, “They laundered so much money, we ended up with no water,” in reference to the historically severe drought that is currently plaguing the country and has led to rationing across several cities and water hoarding by individual citizens. On Friday, March 13, President Rousseff’s supporters staged marches in several cities, in anticipation of the nation-wide anti-government protests scheduled for Sunday. Weekly magazine Veja reported that many of the protesters in Friday’s march were, in fact, paid participants. Friday’s pro-government march in São Paulo attracted 12,000 people, according to estimates by the Military Police, compared to the approximately one million protesters that flooded São Paulo’s main thoroughfare on Sunday. Num dia como o de hj, achei um erro botar ministros de Estado para falar. O momento era para a Chefe de Estado se dirigir à Nação. Ponto. Former Chief Justice of Brazil’s Supreme Court Joaquim Barbosa, who oversaw the most recent corruption case involving top members of the Workers’ Party, tweeted on Sunday, “On a day like today, I think it is a mistake to delegate official announcements to state ministers. The moment demanded that the Commander in Chief address the country. Period.” Barbosa was referring to the fact that President Rousseff did not speak publicly about the Sunday demonstrations. Instead, Justice Minister José Eduardo Cardozo held a press conference, in which he defended the current administration and announced imminent anti-corruption measures.